The opera “L’amour de loin” (Love from Afar, year 2000) of the Finnish composer Kaija Saariaho (born 1952) is recognized as a masterpiece of the modern musical theatre. The work received multiple awards, including a Grammy in 2011 for Best Opera Recording, and its countless production allows us to refer to it as a “triumph of Finnish opera” . Alongside Magnus Lindberg, Jukka Tiensuu, and Tapio Tuomela, Saariaho represents contemporary Finnish school of composers. But its music has long spread beyond the Finnish borders. Saariaho’s compositions sound at almost all major festivals; their premieres are held across the globe, performed by some of the greatest musicians and bands. Saariaho’s work is fairly broad and diverse in the genre sense. It contains 3 operas, oratorio, ballet, over 15 orchestra compositions, around 40 vocal compilations, among which are choral compositions, soloists with orchestra, choir with orchestra, soloists and ensembles, chamber compositions for various instrumental ensembles, including electronic elements, as well as several electronic and sound installations. Her creative career began in her hometown of Helsinki, where she studied composition at the Sibelius Academy with Paavo Heininen (born 1938). She also studied under a British composer Brian Ferneyhough (born 1943), and Swiss composer Klaus Huber (born 1924) in Freiburg, Germany. 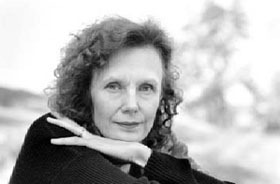 After moving to France in 1982, Saariaho continued her education in IRCAM (Paris), perfecting her mastery in the area of computer composition. All this experience has later greatly affected her orchestral writing.